"In the middle of the night on a Thursday, two crooks—onions should grow in their navels—drove their horse and wagon to the saloon of Reb Elias Olschwanger, at the corner of 14th and Carr streets in St. Louis. This didn't happen yesterday. It was 1919." So begins a modern folktale based on the Yiddish community of the author's great-grandparents in the early 20th century. In original and engaging storytelling, Shlemiel Crooks introduces young readers to the history of Passover, as Pharaoh and a town of Jewish immigrants play tug-of-war with wine made from grapes left over from the Exodus from Egypt. Punctuated by colorful Yiddish expressions, the customs and language of a Jewish community of another time come alive. 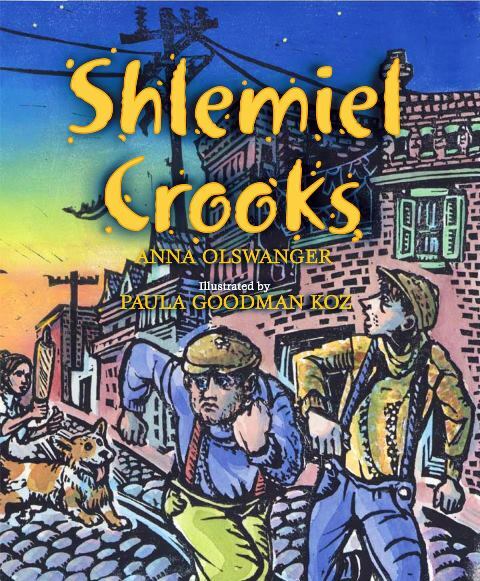 Shlemiel Crooks is a Sydney Taylor Honor Book in the Young Reader's Category from the Association of Jewish Libraries and a PJ Library Book. After nine years at Liza Dawson Associates in New York, Anna launched her own agency Olswanger Literary LLC in 2014. Her clients include the New York Times best-selling author Michael Hall and the Newbery Honor Book winner Vince Vawter. Her first children's book Shlemiel Crooks is based on a Yiddish newspaper article she uncovered about the attempted robbery of her great-grandfather's kosher liquor store in St. Louis in 1919. Shlemiel Crooks is a Sydney Taylor Honor Book and PJ Library Book. In 2011 the Kaufman Center in New York adapted "Chicken Bone Man" and Shlemiel Crooks into a musical for families, which premiered at Merkin Concert Hall. The musical is available for licensing from Dramasource.com Anna's latest book for young readers is Greenhorn, an illustrated children's novel inspired by the true story of a young Holocaust survivor. It is now an independent film. For more information please visit http://www.olswanger.com. 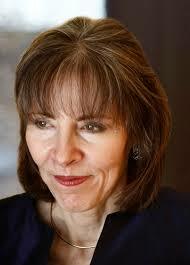 You can follow Anna Olswanger on Twitter, Goodreads, and Pinterest. To win a hardcover copy of Shlemiel's Crooks by Anna Olswanger, please enter the giveaway via the GLEAM form below. – Giveaway ends at 11:59pm EST on April 30th. You must be 18 or older to enter.